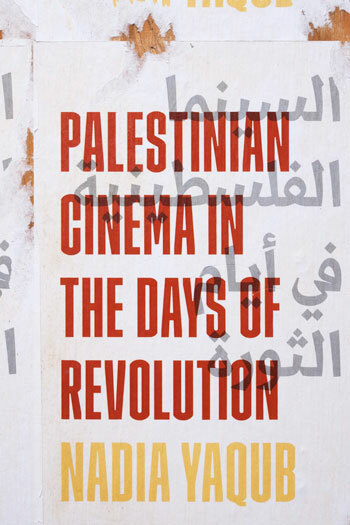 Bringing to light the origins of an important national cinema, this book examines Palestinian filmmaking during the long 1970s, and how it sustained a revolution and continues to inspire in a new century. Palestinian cinema arose during the political cinema movements of the late 1960s and early 1970s, yet it was unique as an institutionalized, though modest, film effort within the national liberation campaign of a stateless people. Filmmakers working within the Palestinian Liberation Organization (PLO) and through other channels filmed the revolution as it unfolded, including the Israeli bombings of Palestinian refugee camps, the Jordanian and Lebanese civil wars, and Palestinian life under Israeli occupation, attempting to create a cinematic language consonant with the revolution and its needs. They experimented with form both to make effective use of limited material and to process violent events and loss as a means of sustaining active engagement in the Palestinian political project. Palestinian Cinema in the Days of Revolution presents an in-depth study of films made between 1968 and 1982, the filmmakers and their practices, the political and cultural contexts in which the films were created and seen, and their afterlives among Palestinian refugees and young filmmakers in the twenty-first century. Nadia Yaqub discusses how early Palestinian cinema operated within emerging public-sector cinema industries in the Arab world, as well as through coproductions and solidarity networks. Her findings aid in understanding the development of alternative cinema in the Arab world. Yaqub also demonstrates that Palestinian filmmaking, as a cinema movement created and sustained under conditions of extraordinary precarity, offers important lessons on the nature and possibilities of political filmmaking more generally. Yaqub is an associate professor of Arabic language and culture and chair of the Department of Asian Studies at the University of North Carolina at Chapel Hill. She coedited Bad Girls of the Arab World with Rula Quawas.